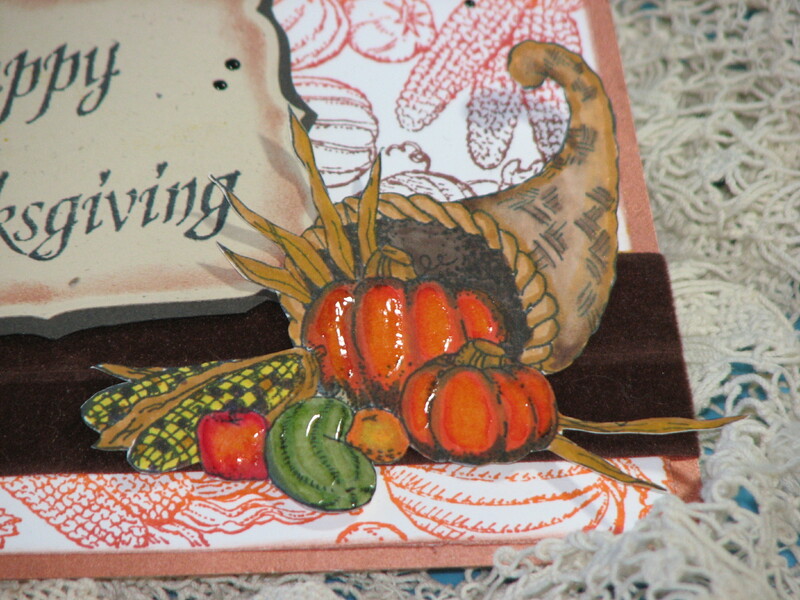 This is a close up of the dimensional detail the Pico Embellisher gives to the pumpkins and gourds. It really makes the image pop. 1. Cut a card mat to the desired finished card size – in this case 4.25″ x 5.5″. 2. 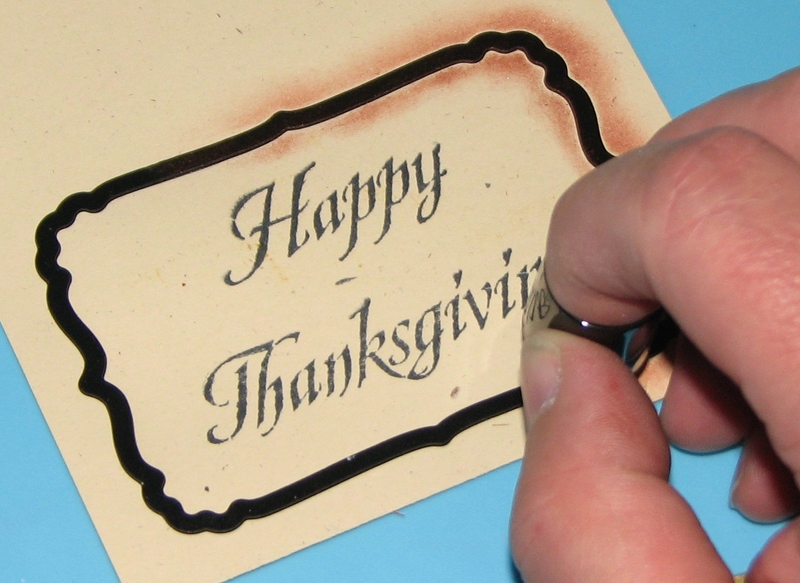 Use a sponge dauber to apply Celestial Copper Delicata ink around the entire outside 1/2″ of the card. Set aside to dry. 3. 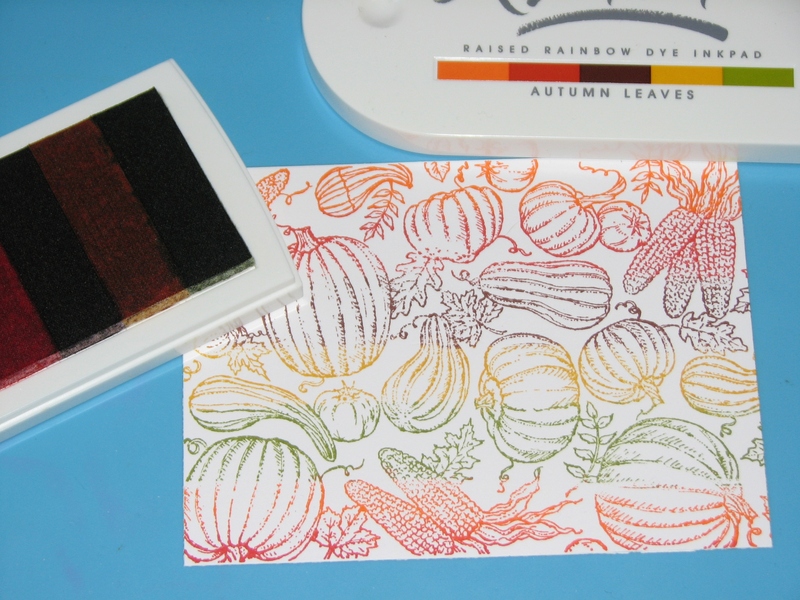 Apply ink directly to the harvest background stamp using the Autumn Leaves Kaleidacolor ink pad making sure to work directly across the stamp to keep the colors aligned. 4. 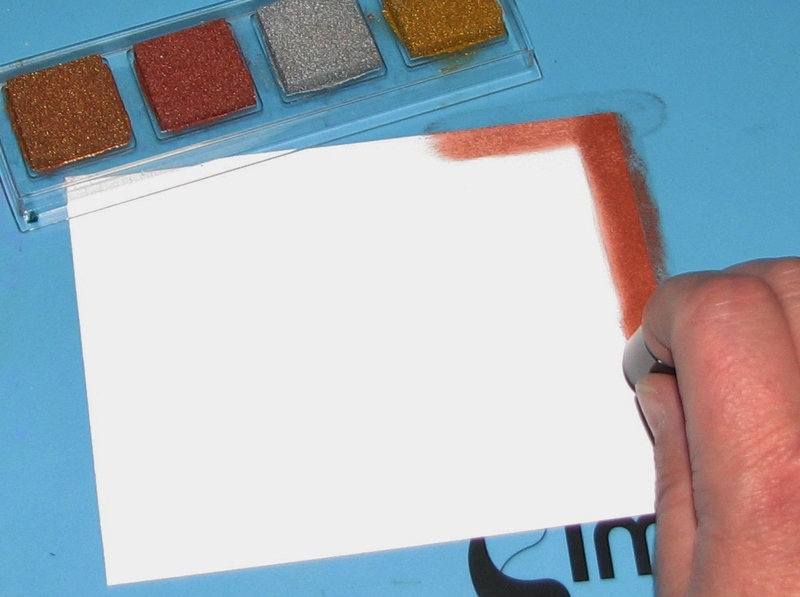 Stamp the image on a piece of white cardstock. 5. 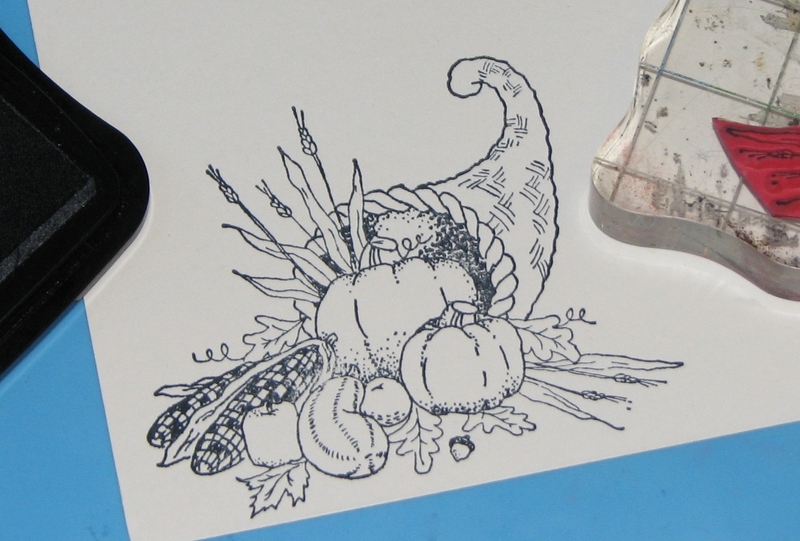 Stamp cornucopia image onto white cardstock with Tuxedo Black Memento ink. 6. 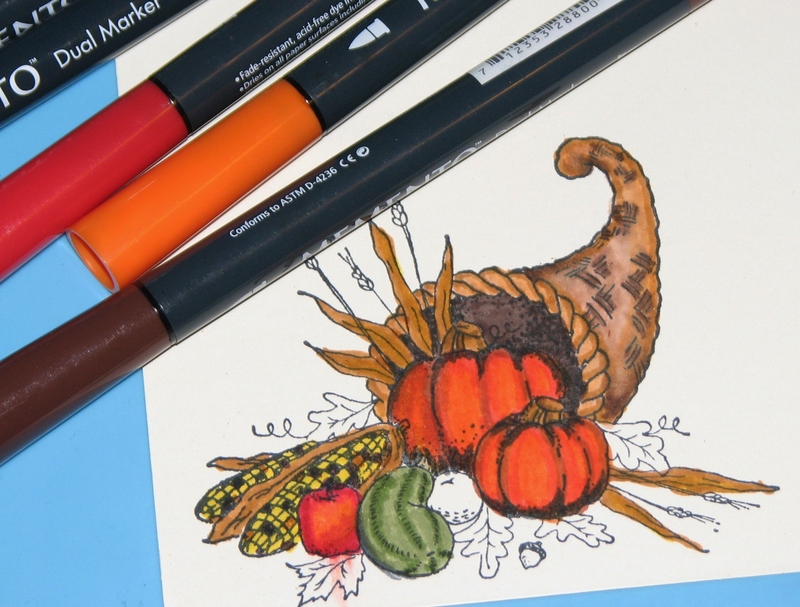 Color the image with Memento Dual Tip Markers blending colors as you go. 7. Stamp sentiment on speckled sand cardstock using Tuxedo Black ink. 8. Die-cut the sentiment; ink the inside edge of the die-cut with Celestial Copper Delicata ink before removing the die to yield a crisp clean edge. Mat with dark brown cardstock. 9. 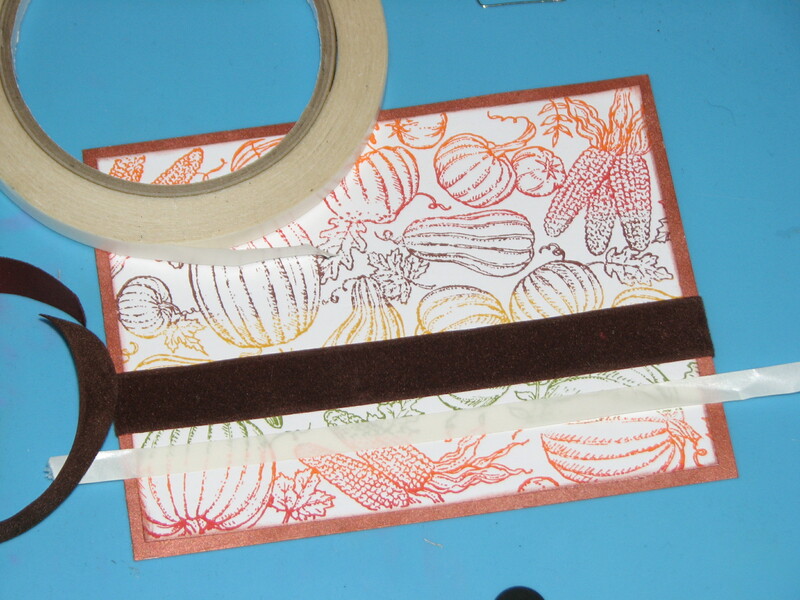 Use Tear It tape to adhere velvet ribbon to the card panel. 10. Adhere the rest of the elements to the card. 11. 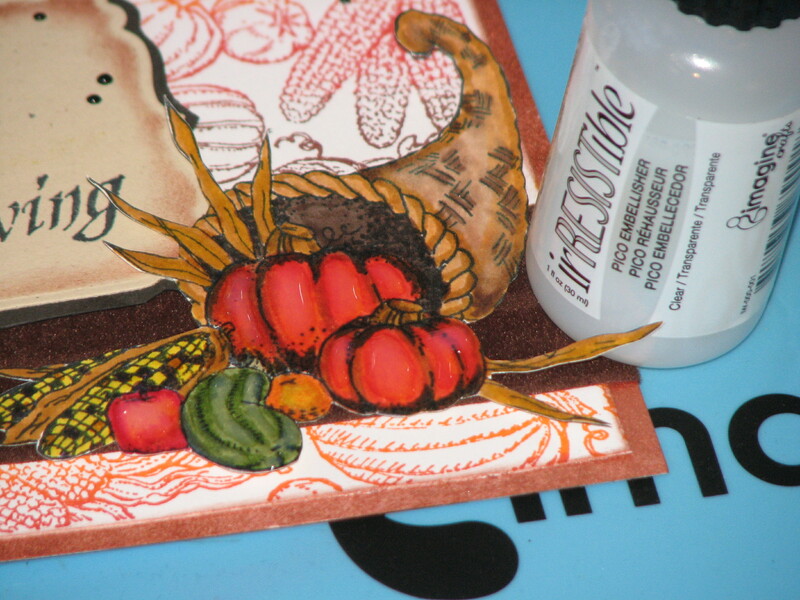 As a final touch apply clear irRESISTible Pico Embellisher to the pumpkins, gourd and apple. Apply a few dots of Bronze Pico Embellisher here and there.